Times are changing. Consumer’s attitudes towards gardening have changed dramatically in recent years. The garden and landscape industries are still powerful draws, but competition for consumers’ attention is fierce-successful garden retail centers must adjust to these changing times. 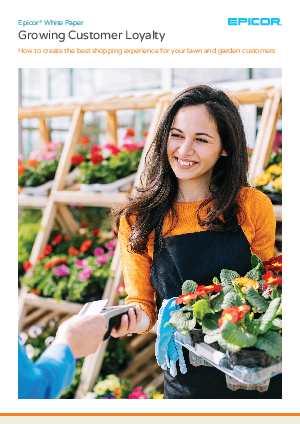 In this whitepaper, written by retail garden and hardware industry expert Ian Baldwin, explains the importance of customer loyalty by understanding and adapting to the new ways customers shop by matching the in-store experience to today’s buyers’ needs. View this whitepaper written by industry expert to learn how to create the best shopping experience for your lawn and garden customers.